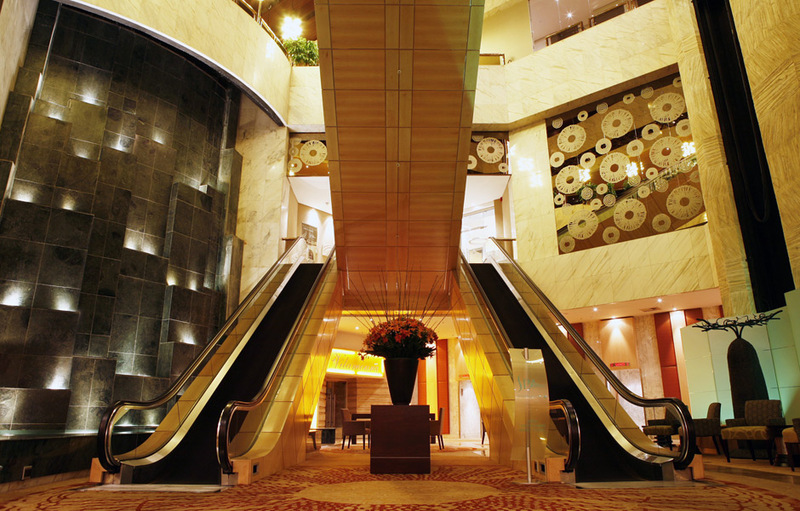 Opened in 1984, the multi-award winning Sandton Sun is one of Johannesburg’s most memorable landmarks. Renowned for its welcoming and exceptional staff, seamless service and world class facilities the hotel combines business services, contemporary dining and fashionable shopping and appeals to both business and leisure travellers. The Sandton Sun was the winner of World Travel Awards 2011 in the Category ‘Africa’s Leading Business Hotel’. It also received the 2011 Certificate of Excellence award from TripAdvisor. The hotel’s 334 luxury rooms have a distinctly modern African flair and are tiered in status from the African Premium Deluxe rooms to the double storey Presidential Suite. 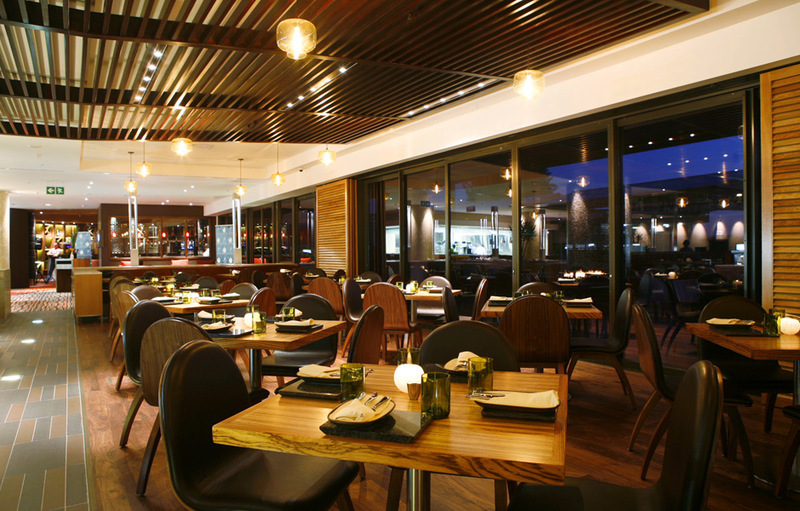 The Sandton Sun’s restaurants are all recipients of numerous awards. Here you can expect service of the highest standards and meticulous attention to detail. Enjoy sundowners on the San Deck, which offers guests breath-taking views over Sandton and the surrounding suburbs. 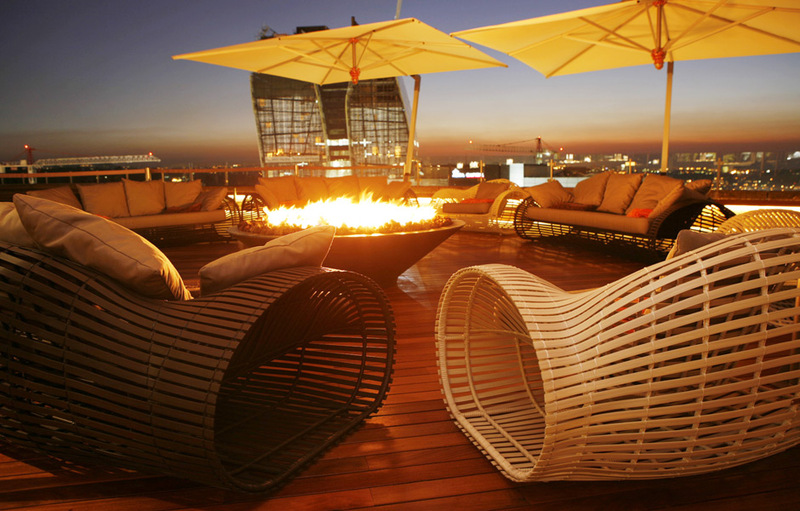 The San Deck has three large fire pits, luxurious couches. Guests can enjoy breakfasts, lunches and dinners overlooking the bustling CBD. This grand cafe-style eatery offers guests á la carte breakfast, lunch and dinner. Seasonal and local produce enjoy preference. This restaurant was the recipient of Diner’s Club 2011 Platinum Award. The San Bar offers a wide range of wines, beers and signature cocktails; choose between executive lounge seating, bar seats and booths. This trendy bar is ‘the place to be seen’. For those busy individuals on the go, this retail space sells just-out-of-the-oven pastries, freshly made sandwiches and salads, as well as take-away coffees, teas and smoothies. 2011 was a good year for Vin mmx. This grill style restaurant was the winner of the Diners Club Diamond Award and also took home the award for South Africa’s National Best Wine List 2011. It was also the recipient for the Award of Excellence from Wine Spectator USA. Vin mmx offers a sophisticated seasonal menu, coupled with an exclusive wine list. Situated alongside the restaurant is The Cheese Room, offering 18 cheese variations, all of which are overseen by a cheese sommelier with unrivalled knowledge, who carefully selects cheese according to particular requirements. There are seven treatment rooms at the Sandton Sun Spa, each with its own shower and toilet. This tranquil oasis is steeped in the values of the East and inspired by Africa. In addition there is also a special couple’s treatment room with bath for two and a large double shower. The Spa offers holistic treatments based exclusively on the healing benefits of touch. The signature treatment, the ‘Sea Whisperer’ is a fusion of massage techniques from around the world. 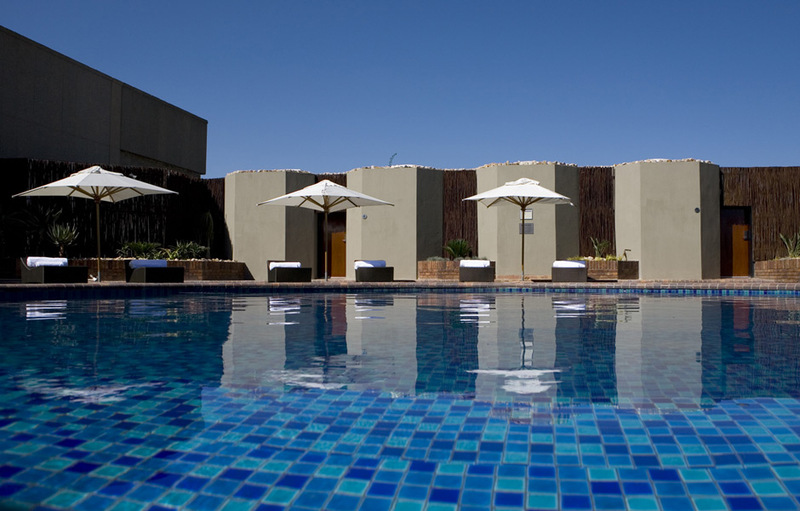 The lavish en-suite and individually air-conditioned hotels rooms have a distinctly contemporary Africa theme. The rooms are spacious and bright with large windows that draw in the natural light. 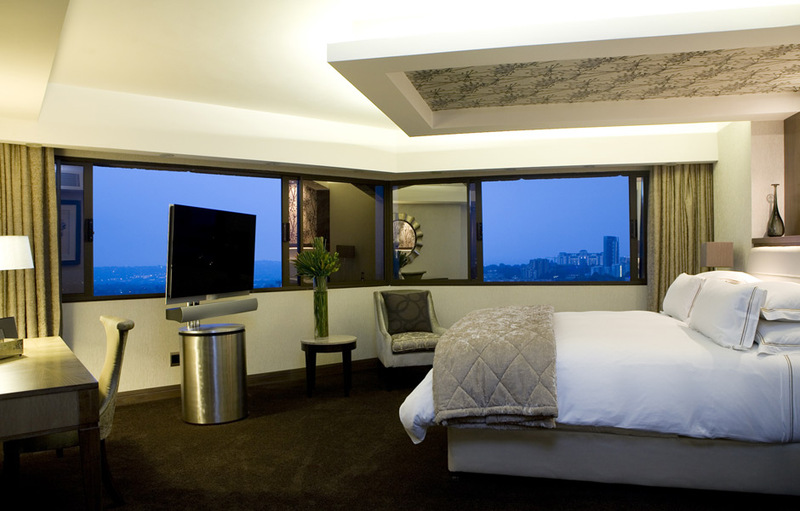 The three Presidential Suites have gorgeous views of the Johannesburg skyline and have all the modern amenities you would expect from a five-star establishment.